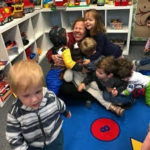 Your temple has a fun-loving, play-based preschool so if you know of anyone looking, please send them our way – we have a few spaces available. 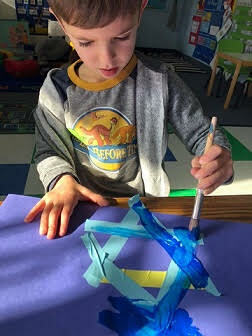 In a warm and nurturing environment, we are proud to offer a program for children ages 2-5 that balances Judaic teachings and traditions with a developmentally appropriate early childhood curriculum that is fun, exciting and challenging. 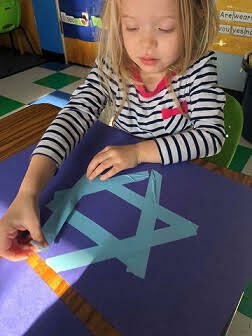 Our classrooms and play yards are set up in a way that allows children to explore and benefit from hands-on learning. Our belief is that experience is not the best teacher it is the ONLY teacher. 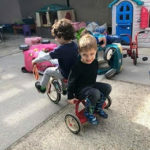 Research and our own experiences tell us that many young children learn best in an outdoor setting…therefore you will see many “indoor” activities taking place outside in one of our yards. 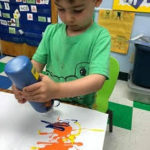 Each morning your children will be welcomed into a classroom that offers both free play and designated centers that will enhance fine motor skills, language development and imagination. A morning meeting on the rug will give our little friends an overview of the morning as well as a chance to welcome each other through song. 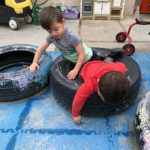 Our program will grow with the children enrolled – meaning that as the children are ready for more time on the rug, more will be added…counting how many friends are at school that day, printed name recognition, calendar and maybe even a group discussion or two. From our experience, and we’re sure yours, children have a lot to say! 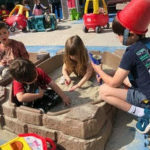 The morning will continue with indoor and outdoor play, music, art, science/cooking, dramatic play, sensory activities and for language development, LOTS of talking and listening. Although our morning session ends at noon, we feel it important to incorporate lunchtime into our schedule. Lunch is at 11:30. Sitting at the table eating lunch with your friends just seems to lend itself to great discussions! 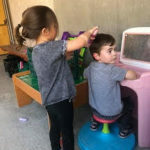 If you are picking up your child at noon, we hope you will join us for our Good-Bye song…preschool is not just a place for little ones to make friends – we hope you will too. For children staying with us after the noon dismissal, there will be a rest/nap time. We understand that not every child will nap and no child will be forced to. 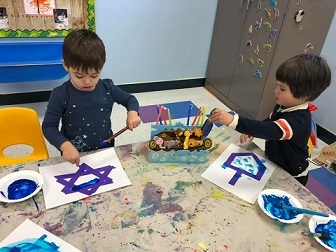 The State requires a rest period for all children staying at preschool after the morning program. During this time, your little one will rest on a napping mat while being read a story or two (or three) by a teacher or director. They will then be ready to either nap or join in the afternoon’s activities. Our doors open at 7:45 am for early drop-off. Please let us know in advance if you will be taking advantage of this. 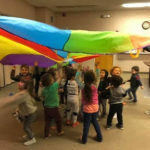 If your child is enrolled in either the half or full day program and you periodically need extra hours, we are happy to accommodate you. The cost will be $10 per hour. There will not be a prorated amount for any part of the hour. 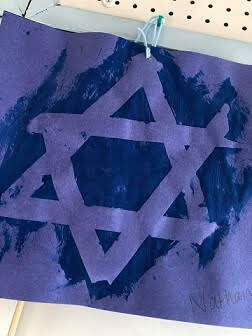 Temple Beth Emet is an all-inclusive community and we welcome all families, whether synagogue members or not. 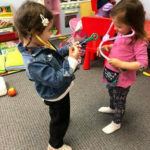 We believe these years are a brief moment in your life and we invite you to be an active participant in your child’s early educational journey. 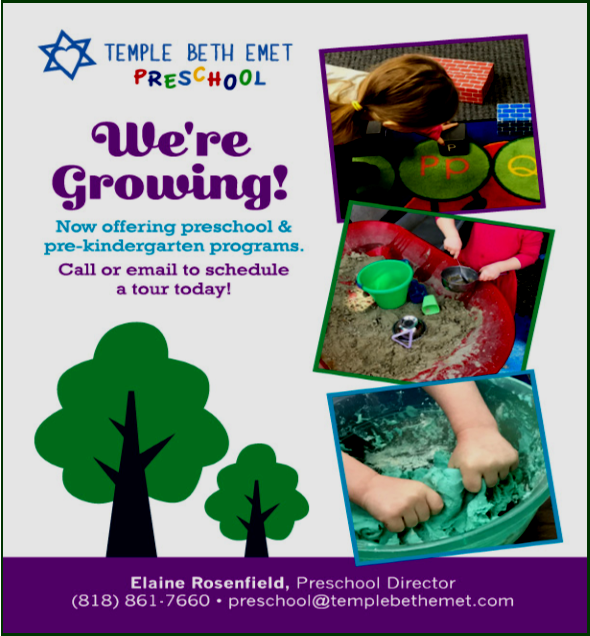 Please contact Elaine Rosenfield, Preschool Director, at (818)861-7660 or at preschool@templebethemet.com for more information or to schedule a tour of our facility.